Let’s face it: Despite the dazzling lights, festive get-togethers, and “goodwill toward men,” the holiday season isn’t without some frustrations. You know, like long, snaking lines inside stores, or searching for that same impossible-to-find gift at a dozen different retailers. 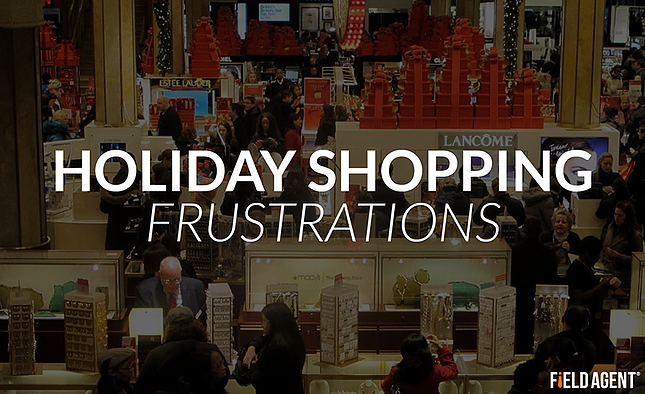 Which raises a question: What are the top frustrations associated with in-store holiday shopping? To answer this question we surveyed 500 holiday shoppers, split evenly between men and women, and we asked them to rate several potential frustrations with traditional, in-store holiday shopping. Although frustrations do exist, respondents said they find in-store holiday shopping more or less enjoyable. On a scale from 0-10, with 10 “extremely enjoyable” and 0 “not at all enjoyable,” respondents were asked to rate the enjoyment of shopping in stores during the holidays. In all, 66% logged a rating of 6 or higher. On a 0-10 scale, with 10 “extremely frustrating” and 0 “not at all frustrating,” we further asked respondents to rate five potential frustrations of in-store holiday shopping: crowds/lines, customer service (i.e., during the holidays), insufficient parking, other shoppers (i.e., rude, aggressive), and out-of-stocks (i.e., unavailable merchandise). 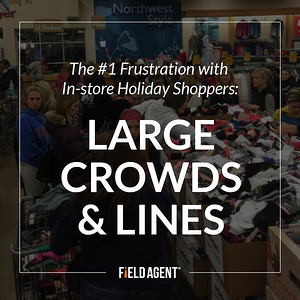 Large crowds and long lines proved the single greatest frustration of shopping in stores at Christmastime, with 42% assigning them a 10 (the highest level of frustration). In fact, almost 70% gave crowds/lines a rating of 8 or higher (average rating: 8.06). The behavior of other shoppers and out-of-stocks were also sore spots among respondents. 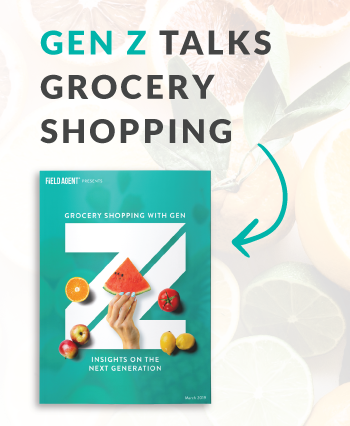 39% rated other shoppers a 10 on the frustration scale (average rating: 7.78), while 31% rated out-of-stocks a 10 (average: 7.5). See also: 7 Reasons Retail Shoppers Aren't Buying Your Products? Insufficient parking and customer service registered lowest on the frustration scale, with averages of 6.7 and 5.36, respectively. Why Do Holiday Shoppers Still Visit Stores? Our Black Friday report reveals the primary reasons holiday shoppers say they continue to visit stores on Black Friday to purchase holiday gifts, despite the growing prevalence of online holiday shopping. This report also contains images and survey data from Field Agent’s 2nd Annual Black Friday Scoreboard, in which we enlisted 434 shoppers to chronicle all the action on Gray Thursday and Black Friday.